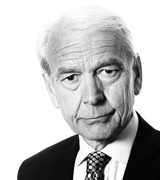 John Humphrys - Frank Field Resigns: Should Labour Split? August 31, 2018, 1:06 p.m.
Frank Field, the veteran Labour MP, has resigned the Labour whip in the House of Commons. His reason? Jeremy Corbyn’s failure to tackle both anti-Semitism and increasing thuggery in the party. Mr Field says he will sit as an independent Labour MP and claims he would like nothing more than for Mr Corbyn to put the party’s house in order so that he can resume taking the whip. But he has also threatened to call a by-election in his Birkenhead constituency, pitching him against a new, official Labour candidate. This would pose an acute dilemma for many other Labour MPs exasperated by Mr Corbyn’s leadership. Some might even follow Mr Field’s example and resign the Labour whip too. Would it be better all-round if Labour MPs split into two parties, one sticking with Jeremy Corbyn and the other determined to stop him becoming prime minister? Mr Field said his move was a ‘cry of desperation’. He claimed that under Mr Corbyn the Labour Party was ‘increasingly seen as racist’ and that the Labour leadership was becoming ‘a force for anti-Semitism in British politics’. In an article for the Liverpool Echo he wrote: ‘Britain fought the Second World War to banish these views from our politics but that superhuman effort and success is now under huge and sustained internal attack. The leadership is doing nothing substantive to address this erosion of our core values. This issue alone compels me to resign the whip.’ He added that the intervention earlier in the week by Lord Sacks, in which the former chief rabbi said that a speech of Mr Corbyn’s some years ago was the most racist speech made by a British politician since Enoch Powell’s ‘rivers of blood’ speech in 1968, ‘was the final straw’. But Mr Field also said that ‘a culture of intolerance, nastiness and intimidation now reigns in too many parts of the party nationally and is sadly manifest within my own constituency Labour party in Birkenhead. This is, I fear, just one example of a phenomenon that has tightened its grip on CLPs across the country and is being driven, in part, by members who in previous years would never have been able to claim Labour Party membership’. He added: ‘I want the Labour Party to change. I want it to be seen as a clearly anti-racist party. And I want it to be clearly seen that the local thuggery that’s going on will not control local MPs’. The response of the Labour leadership was in itself an indication of the deep schism within the party. The Deputy Leader, Tom Watson, said that Mr Field’s resignation constituted a ‘serious loss’ to the party and that his reasons for resigning ought to provide a ‘major wake-up call’ to the party. But Jeremy Corbyn’s office simply put out a single sentence response thanking Mr Field for his services to the Labour Party. A senior Labour source then briefed that ‘Frank has been looking for an excuse to resign for some time’, and it was suggested that he merely jumped before he was pushed. Mr Field was recently censured by his constituency party for voting with the government over a Brexit issue and he faced moves to deselect him as Labour’s candidate at the next election. It’s certainly true that for nearly forty years as a Labour MP Mr Field has been a maverick. He was brought up in a Tory working class family and was briefly a member of the Young Conservatives who expelled him for his anti-apartheid activities. As a Labour MP he became friendly with Conservative leaders, Margaret Thatcher and Iain Duncan Smith, and even with Enoch Powell himself. But there is no doubting his lifelong commitment to one of the core purposes of the Labour Party – tackling poverty. Before becoming an MP he ran the Child Poverty Action Group and became a junior minister under Tony Blair charged with ‘thinking the unthinkable’ on welfare. More recently as chairman of the Work and Pensions select committee in the Commons he has harried the Tory government over welfare issues. But he also represents other working class values which many Labour voters think the leadership has either lost sight of or actually despises: patriotism and nationalism. He has long been opposed to Britain’s membership of the European Union and was one of only four Labour MPs to vote recently with the government and against the Labour whip on the issue. His Birkenhead constituents voted heavily in favour of Brexit in the referendum. One of the other three MPs, Kate Hoey, said: ‘Frank is Labour to his core’. Mr Corbyn’s problem is that he stands accused by Mr Field of allowing the Labour Party to become a force for anti-Semitism. MPs loyal to him have dismissed this charge as ‘throwing round grotesque slurs’ but others agree with him. One, Mike Gapes, said recently, that he’d ‘had it’ on the issue and was ‘agonising every day’ whether he could stay as a Labour MP. For many Labour MPs, deeply unhappy with the leadership not only on this issue but on many others, the question is whether they feel able to knock on doors at the next election to urge voters to make Jeremy Corbyn prime minister when they don’t want to do so themselves. That’s why there has been talk of a split in Labour. But most of the talk has been among Labour MPs deeply unhappy about Britain leaving the EU, and with Mr Corbyn’s equivocation on the issue. Among some of them the talk is not so much of creating a new, alternative, anti-Corbyn Labour Party, but a new centre party, that would attract Tory and LibDem voters and the uncommitted as well. In pursuit of this idea, some have already been talking to Remainer Tory MPs, equally disaffected by the way their party (and the country) is heading. Most commentators agree that the formation of such a centre party, if it were to happen at all, could only come about after Britain has left the EU next March. Mr Field has never been mentioned in this context precisely because of his strong support for Brexit. But his move could act as a catalyst for Labour MPs to make the first move, giving up the Labour whip. Mr Field’s resignation is forcing them to think hard; his calling a by-election would force them to take sides. So is it a good idea for Labour to split? Those who say yes argue that Jeremy Corbyn is unelectable as prime minister but, of he did become prime minister, they could not support many of his policies - foreign policy. Others argue that any split in Labour ranks is simply a gift to the Tories, ensuring that they stay in power. That, they say, is the clear lesson of the SDP breakaway from Labour in 1981, which left the Tories in government for the next sixteen years. So should Labour MPs opposed to the way Jeremy Corbyn is leading the Labour Party follow Mr Field’s example and give up the Labour whip? Do you think Mr Field’s reasons for doing so are justified? Should Mr Field create a by-election to force the issue? Would Britain be better served by the creation of a breakaway Labour Party, a new centre party, or neither? And what do you think will happen?